HOW LONG DOES IT TAKE TO REPLACE A HEALTH MINISTER? Well, in Nigeria, it takes a very long time. 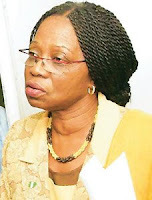 The last Minister of Health, Adenike Grange, resigned from her position on March 25th,2008, due to a corruption scandal involving Iyabo Obasanjo-Bello and others. President Yar'Adua did not announce a replacement until January 2nd,2009. In this day and age, it is absurd that a nation like Nigeria where the life expectancy rate is 47 years, should go without a Minister of Health. In fact, if one is to be exact, since the beginning of the Yar'Adua administration in May 2007, Nigerians have gone without a Health Minister for a total of 12 months. That is because it took 3 months for Yar'Adua to announce his first cabinet after becoming President in 2007, therefore Nigerian's had no Minister of Health to hold accountable or look to for leadership on crucial matters of health for a total of one year. The possible implications of that 1 year could take decades to manifest and if negative, Nigeria's future children will bear the brunt due to no choice of their own. Appearance is everything, and in Nigeria, that is especially the case. President Yar'Adua's decision to take such a long time to put someone in charge of the Ministry of health is another decision taken by the President that lends credibility to public questions about his leadership style and his ability to manage a nation struggling to develop and overcome a history burdened by bad decisions, inaction and severe underdevelopment. On another note, assuming that the Health Ministry seat was vacant for a year due to the inability to find a capable replacement, that in itself raises some additional concerns. The most significant question would be why should it be so difficult to find a qualified individual willing and able to be Health Minister and what does that say about Nigeria as a nation? It is hard to believe that in a nation of 140 million people, finding a Health Minister would be a 12 month task, but incredible things happen everyday and especially in Nigeria. Nevertheless, Nigeria will always need a capable leader to steer the helm. Sometimes, the mere suggestion of incapacity is enough to shatter the faith of a people in their leader and that lack of confidence will only make a leader's job harder. That is especially the case in Nigeria and for Yar'Adua who still has the opportunity to revamp his image by taking more decisive steps and holding his cabinet members accountable for any failure to achieve publicly declared goals and objectives. A key objective for consideration would be the promise made by the administration to increase power generation in the country by 2011. But, of course, one cannot forget the many advances in health care that Nigeria needs such as the continued quest for universal healthcare and especially improvements in neo and post natal care. Hopefully, the new Minister of Health, Babatunde Osotimehin and his deputy minister, Aliyu Idi Hong, will not only have the desire to improve health standards but will also have the opportunity and support needed to improve the nation's healthcare. If that happens, maybe Yar'Adua and others, such as former and even current state governors, will no longer fly to South Africa and Europe in search of healthcare while the average Nigerian suffers and dies in pain. Please visit the wonderful gem of a blog, Nigerian Health Watch to read a recap of current health related issues from Nigeria. Very comprehensive report and passionate report. 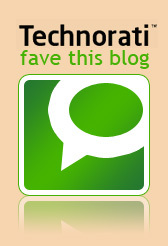 Will surely come back as I have added your blog to my blog at http://babajidesalu.wordpress.com joining an exclusive list of blogs I follow. Good work and God bless. @ Danny: I cannot speak for any previous health ministers but will leave it to bloggers like Beauty, N.I.M.M.O. or the guys at NHW to comment on that. There are a couple programs that seem to be having some success in the country but they are semi0Independent of Health, it seems. And, Lagos State has registered a significant drop in HIV?AIDS reports recently. There is good work being done in Nigeria on the health front, but imagine how much could be done if there was better organization? Thanks so much for starting the conversation. Much appreciated. @ babjidesalu: thanks so much for the vote of confidenc. Just trying to write about the issues of concern to me and hope that others will take an interest. That blog of yours is really an undiscovered gem. Your description of drivers etiquette in Naija was on point. @ Marin: Happy new year to you and yours, my sista. You raise a crucial point. Considering Yardy's alleged health issues, the health sector is an area he could transform and leave a lasting legacy to the rest of Nigeria and its future citizens. We will have to wait and see if he will rise to the occasion on that one. But, like he said, he's only human, right? @ oz: really? my broda, no vex. Will look into it. @ naijagirl: interesting question. I can only assume that noone was getting paid. But, for sure that salary was budgeted for and should be traceable. That money should be divided amongst all Nigerian nurses as a gesture for their commitment to health. I didn't suggest doctors just because if they are suffering, then the nurses are probably worse off. Anyway, thanks for asking a thought provoking question. Will keep my eyes open on that one. @Marin: The reason he is not as concerned as he should be is because he and his ministers can jet off to any country they feel like for health care. Its a damn shame. Its the same with the electricity problem and generators. As far as THEY are okay, who cares about the rest?